This summer, I had the privilege of attending the 9th annual VidCon, a gathering of about 30,000 strong in Anaheim where techies and content creators come together to celebrate the growing global community of video content producers. 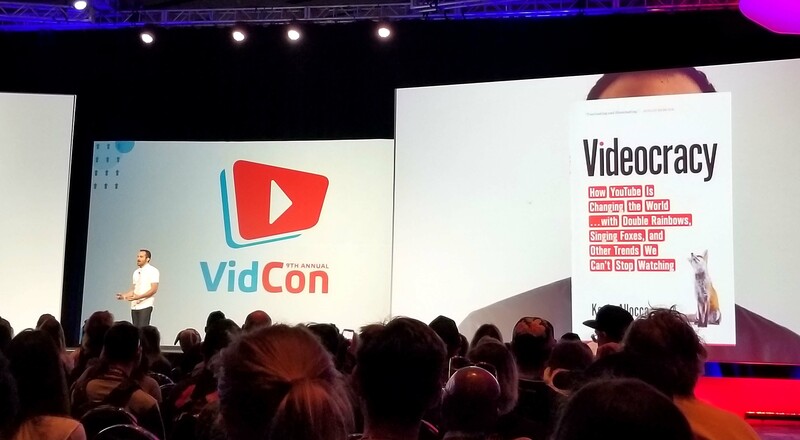 If this year’s VidCon reminded video marketers of anything, it is that audiences crave authentic connection, whether it’s with a person, brand or influencer – and video bridges the gap between creators and audiences more effectively than perhaps any other medium. This is why audiences are able to connect so deeply. Below, I’ll talk about three major developing trends worth paying attention to in the coming months while developing your own digital video content. In today’s landscape, brands should not be afraid to embrace the imperfect, messy imagery that reflects our everyday lives by telling a personalized story. In fact, Ella Mielniczenko, Executive Producer at BuzzFeed, emphasized the importance of telling a personalized story. A great example of this concept being executed successfully is the BuzzFeed Violet series You Do You. Historically, BuzzFeed’s content included mainly short viral videos, listicles and quizzes, generating billions of views. However, the launch of You do You, BuzzFeed’s first long-form, fictional comedy series, has quickly developed an impressive and sizable following. You Do You gave BuzzFeed writers and actresses (including Ella and her co-stars) a platform to discuss their perspectives as gay women on everyday struggles – e.g., Who in our friend group is going to be the person last to get married? The show resonated with its audience so much that it hit the number one spot on the iTunes Comedy chart, beating out CBS’s The Big Bang Theory and HBO’s Silicon Valley. Another big takeaway this year was the use of data to inform and drive relevant content creation. Producers from the BuzzFeed team stressed the implementation of the scientific method when developing your content strategy. The wildly popular series Tasty grew out of this approach. After substantial research into trends and viewer analytics, the first videos were created with only a few variations between them. After measuring which tactics drew the greatest audience, subsequent videos used previously-successful approaches as control groups, occasionally introducing newer ideas as variables. Whatever didn’t catch on was not repeated. From Tasty, BuzzFeed has generated multiple successful series based on layered, proven techniques while continuing to grow their audience and keep fans interested. Kevin Allocca, YouTube’s Head of Culture & Trends, discussed themes from his book Videocracy, highlighting that we are in a new era of self-expression, and how YouTube has played an essential role in the evolution of that. Other highlights included live performances and solo pieces covering domestic violence, staying true to yourself (and building a loving audience in spite of the potentially toxic environment of social media), and connecting with niche communities online. So what should marketers be mindful of moving forward? Simply put, be mindful of your audience. Not all video content needs to be shiny and polished. Rather, creating content your viewers love should be your top priority. Staying focused on research, analytics, diversity and authenticity can help you do just that. Did you attend VidCon 2018? If so, tell us your top takeaways in the comment section below!